There are many aspects to maintaining your oral health. Brushing your teeth, visiting the dentist, and even eating the right foods … all these play a large role in keeping a healthy mouth. But there are other things you can do to assist your home dental routine. Technology can play a part as well. For the past decade, high-tech has been striving to incorporate health into its advances. In fact, three very recent dental apps have become available to help you achieve the highest quality in oral health. 1. Brush D J: Brushing your teeth can seem like a very tedious exercise. There is a way to make tooth brushing more entertaining, however. A dentist named Ben Underwood developed this handy smartphone app to make brushing your teeth a very fun activity. The application accesses a music library stored on the device and plays two minutes of a random song. This timer allows you to know how long you’re supposed to brush your teeth. When the two minutes of random music ends, you know you’ve taken the adequate amount of time to ensure your teeth are sufficiently clean. This app is available for both Apple and Android devices. 2. Tooth Brushing Motivator: The tooth brushing motivator does not just helps you to brush your teeth when you’re supposed to. It has much more to offer. This application, developed by psychiatrist Dr. Einheart Illing, consists of a system of programs designed to make sure every tooth is reached during brushing. The front, side, and back teeth are attributed to a certain color; and when you brush, the system gives you one color at a time to finish. This is especially fun for small children. They can even make a game of brushing their teeth. 3. Braces Help: You may not like wearing braces, but if you have to wear them, you might as well know how to take care of them. This helpful app is for people who either wear braces or might have to get orthodontic work done in the future. This interesting tool provides information, pictures, and videos about caring for your braces and what to do when something goes wrong with them. 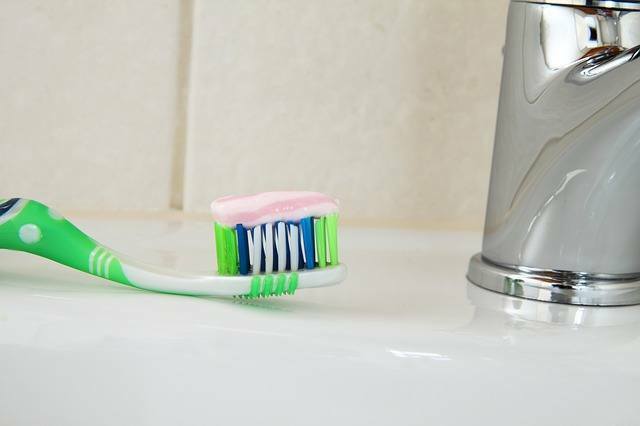 Brushing your teeth is important, certainly, along with regularly visiting your dental professional. Taking all things in consideration by utilizing these useful smartphone apps will help you to develop good dental habits as a permanent lifestyle choice.